At the end of 2016, CIRSE became a member of the European CanCer Organisation (ECCO), a not-for-profit, oncology federation, which consists of 23 member societies. Representing over 150,000 professionals, ECCO promotes interdisciplinary cancer care through education, training and scientific meetings, all while encouraging interaction between European organisations involved in cancer treatment. CIRSE’s involvement with ECCO is important to the continued progression of interventional oncology. CIRSE is proud to be a part of the international ECCO cancer care community and is currently involved in several initiatives, including the Essential Requirements for Quality Cancer Care (ERQCC) publications as well as the ECCO European Cancer Summit. ECCO essential requirements for quality cancer care (ERQCC) are checklists and explanations of organisation and actions that are necessary to give high-quality care to patients who have a specific type of cancer. They are written by European experts representing all disciplines involved in cancer care and give oncology teams, patients, policymakers and managers an overview of the elements needed in any healthcare system to provide high quality of care throughout the patient journey. Embracing multidisciplinary cancer care, ECCO Summit brings international leadership together from the cancer healthcare, patient advocacy and stakeholder communities to pave the way in connecting science with real-life and transforming policy evolution at the highest political level. 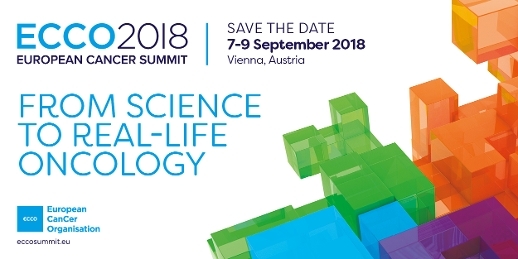 This year’s ECCO Summit, taking place on 7-9 of September 2018, will focus on debating cutting-edge ideas for outcome research, health economics and organisations of cancer care delivery, as well as determine consensus resolutions for improving health systems and decide on an action plan to power policies forward into daily clinical practices. For more information on the 2018 Summit please visit the ECCO website.